Commercial property owners generally have very busy schedules. As busy as you may be, though, it is important that you remember that building security is not something that you can let slip through the cracks. Of course, your family’s safety is your top priority, which is why you keep your home sealed up tight, locking the doors and taking any steps possible to ward off intruders. If you own a business, you’re just as concerned about trespassers on your commercial property. How Long Does It Take to Install a Security System for a Home? There’s a peace of mind that comes with an excellent security system in a home that’s impossible to put a price on. But you can only achieve that peace of mind if you go to a professional, experienced installation service to handle the job of setting up the system. Nothing is more important for your home than knowing that it remains safe and secure. A professionally installed and set-up security system tailored for your house will not only help protect it, but also provide the most valuable gift of all: peace of mind. Security Connection, a division of Electrical Connection, Inc., provides home security systems installation in Avon, CT. The technology of commercial security systems has come a long way from old-fashioned blaring alarms. Now you can have security monitoring every hour of the day or night for any part of your business. School, office building, commercial parking lot…no matter the size of the space, there is a security system with outside monitoring that will match your needs and your budget. What’s Involved in Security System Monitoring? You can’t watch over your business every hour of every day. But you can invest in security system monitoring that can take over this job and give you valuable peace of mind. A monitoring system can include many individual elements, and with the help of a professional security company, you will have the monitoring network you need to keep your commercial property safe around the clock and around the year. Installing a home security system in Simsbury, CT or any other surrounding community makes a lot of sense. Not only can it help keep your home and family secure, but it can also raise the resale value of your property when the time comes to sell it. 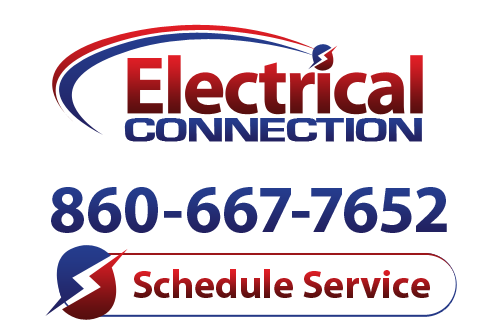 In order to install a security system properly, you need a trained electrician who can connect it to your power grid. A security system helps keep your family and property safe, and when correctly deployed can do absolute wonders for your peace of mind. Here in Avon, security systems installation can be conducted by trained professionals who know how to do the job right. Having an effective security system for your home is no longer something to do out of paranoia: it’s simply good sense and an excellent investment. There’s a peace of mind you’ll receive from an effective security system that makes it worth the installment price alone.